These Deepak Chopra meditation tips are perfect for those who want to learn how to meditate. The 6 Deepak Chopra videos below give a wonderful introduction to meditation. I would suggest you watch them in order before you meditate. 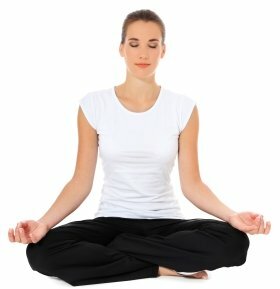 Before you view them, here are a few beginners meditation techniques and tips that Dr. Chopra mentions. They will certainly help you get started if you are new to meditation, or even if you have been doing it for a while and want to improve your meditation techniques. Take a deep, slow breath. Breathe naturally and slowly and begin to notice your breathing, in and out. Deepak will tell you to "go within". That instruction is a bit confusing when you are beginning to meditate, but I take it to mean to focus on the inner you, not on what is going on around you or on your day-to-day activities. We all have thoughts and sensations during meditation, especially when we are newer at it. Don't worry about it or think that you are not doing things properly. Just allow your thoughts to happen, then take a moment to notice your breath. Allow the focus on your breathing to gently bring you back to your center, that inner you. Gently accept all thoughts that come up during meditation. Know that the meditation experience you are having at this moment is perfect as it is. There is no destination. Your "goal" is simply to notice the present moment in silence. Let your thoughts come without judging them or you. Just allow them to drift across your mind. Picture thoughts as though they are clouds in the sky. Accept them and gently push them aside as you concentrate on your breathing in and out again. "Once you realize that you are involved with your thoughts and are no longer repeating the mantra, simply return your awareness back to the mantra and continue repeating it, just mentally. As you engage in the practice in this way, after a little bit of time, the mantra and thoughts will begin to cancel each other out." Some people may not totally understand Dr. Chopra's accent at first so I thought it would be best to also give you the mantra he suggests to start with. It is SO HUM, which means "I am". As you progress with your meditation, there are many other mantras you can use, depending on what you are meditating about. For example, if you are meditating on the emotions or health of a particular chakra, you can repeat the mantra that is attached to that chakra. In later Deepak Chopra meditation techniques, he recommends exactly that. Find the list in our list of chakra characteristics here.